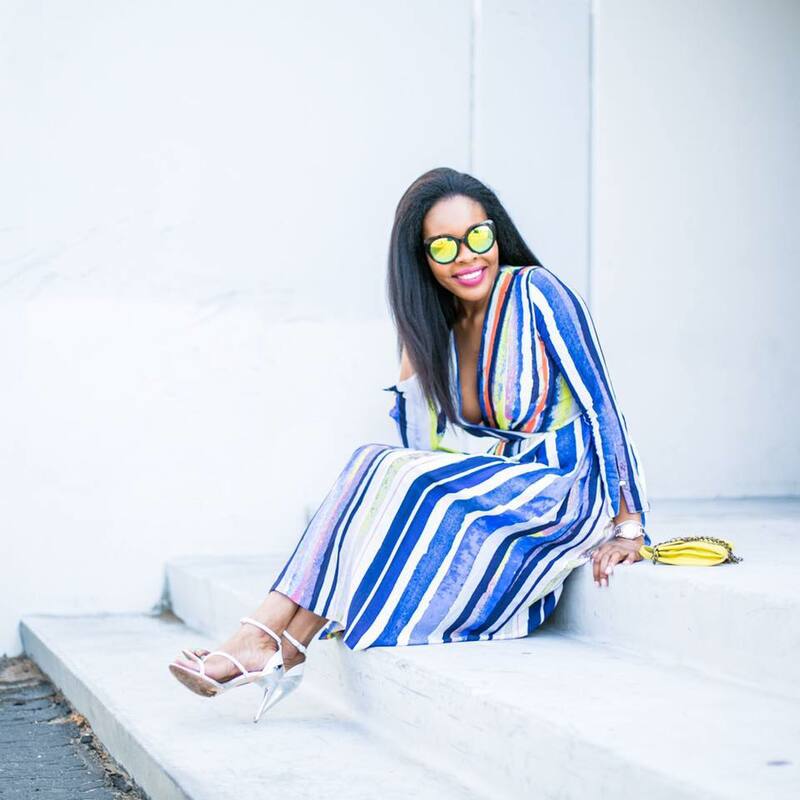 Today's post is partnered with Hair Food and Simply, sharing my tips with you on how I take care of my natural hair. 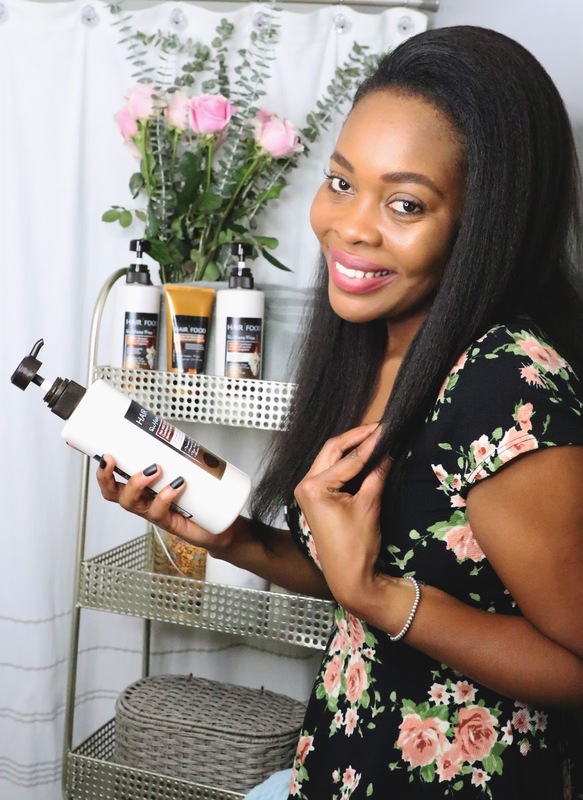 I'll give you step-by-step process and share with you my favorite line of hair products plus some easy homemade tips to help you with your hair. 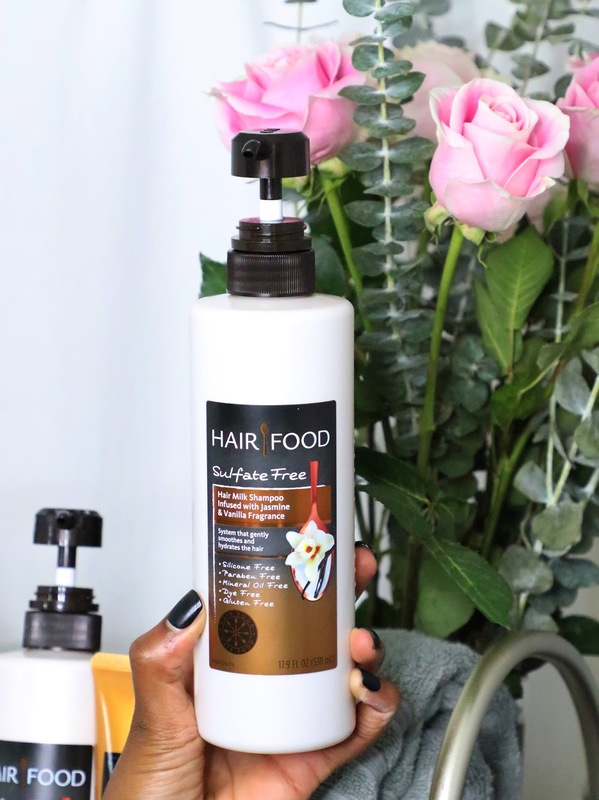 I absolutely love the Hair Food Sulfate Free Hair Milk Collection. It has been a part of my hair care regimen since the beginning of this year. 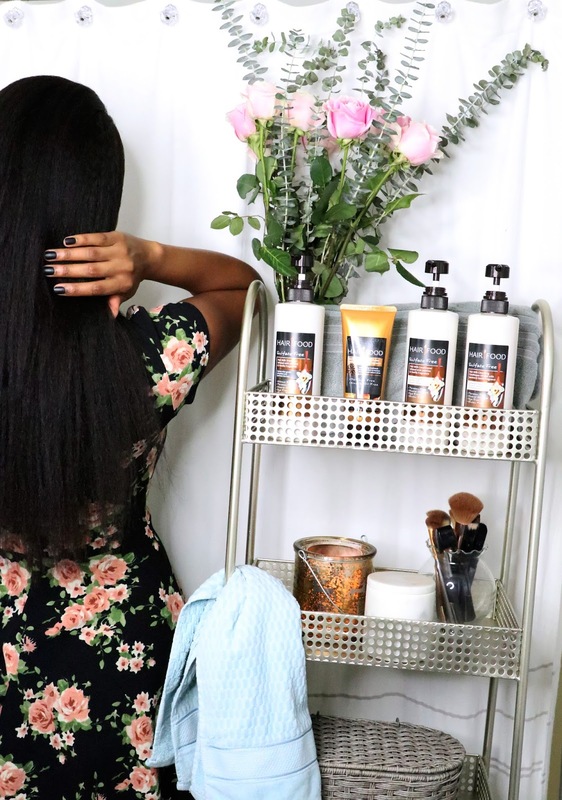 The line gently smooths and hydrates my hair while giving it the nourishment and shine that it needs. My natural hair journey started a little over 4 years ago. My sister was my motivation to discontinue perming my hair and growing it out. I decided to take meticulous care of my hair and it was one of the best decisions I have ever made. Next to my skin, my hair gets the second most detailed attention because having healthy hair is key for me. 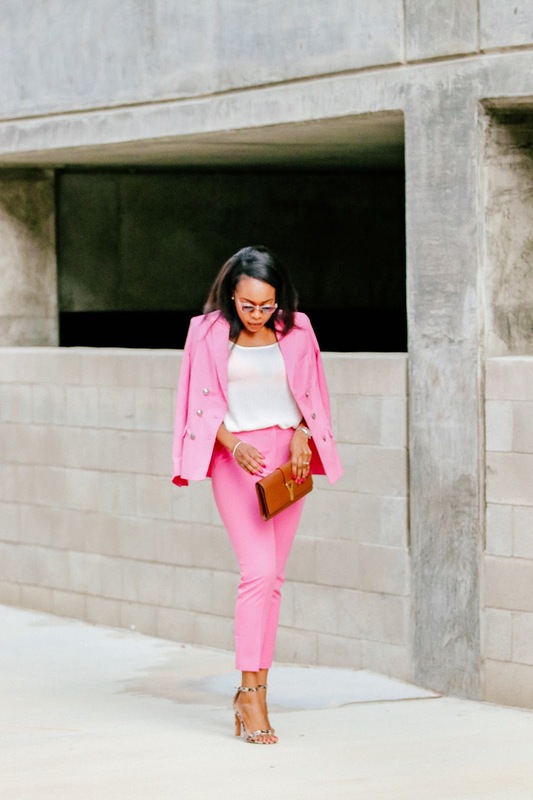 My routine is also great for all hair types because it’s simple, yet effective. Step 2: Once I am done with my shampoo, I use the Hair Food Sulfate Free Hair Milk Conditioner. I take about 5 minutes to finger de-tangle my hair. 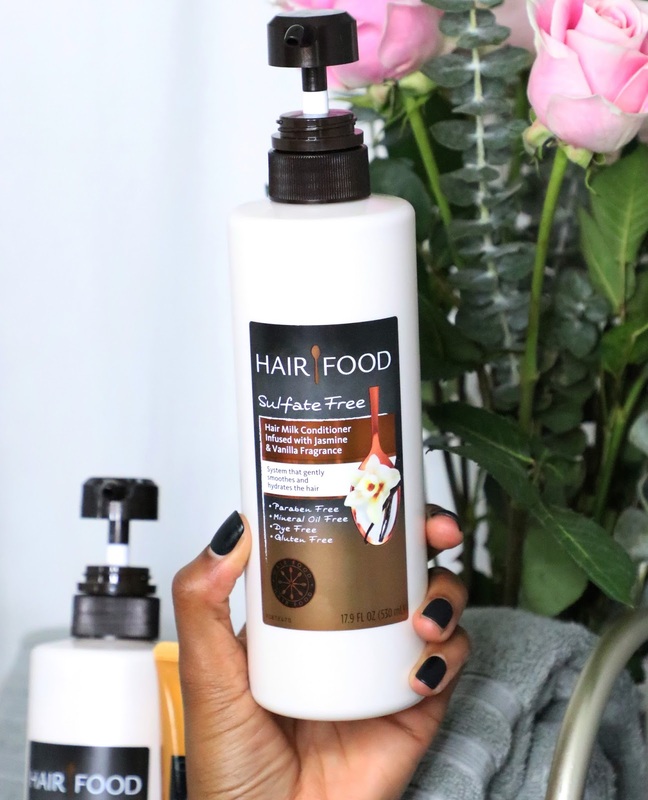 I love how well it moisturizes and smooths my strands, and plus, the formula helps seal and protect hair from future damage. Step 3: I’ve been using the Hair Food Moisturizing Hair Mask, especially after returning from Fashion Week. I absolutely love it. I section my hair in quarters again and apply it from root to tip. I cover my hair with a steam cap and leave it on for 5 minutes. Upon rinsing, my hair feels so strong and beautiful. I never leave my hair out just bare. I always have fresh aloe vera plant in my home. I simply cut about 3 inches off, slice it down the middle and then immerse it in a cup of water. I shake that around until the water develops a slimy texture. I put it in a spray bottle, add a bit of my Hair Food Sulfate Free Conditioner to the bottle and, spray the solution all over my hair. I then add Jamaican Castor Oil, or Olive Oil or Coconut Oil, especially on my tips to lock and seal in all that moisture and hydration. I twist my hair up or let it air dry and the next day I blow dry. Hair Tip: Mix a cup of water and 4 tbsp. of Apple Cider Vinegar and spray it on your hair before you wash. This is especially if you hair is really damaged or super dry. This along with Hair Food Sulfate Free Hair Milk Collection will have your hair feeling and looking amazing. I would love to know more about your hair care routine. I'm sure other readers would love to know too. Our hairs are all so different and it is by sharing, trial and error, that we learn what's best or a good product to try. 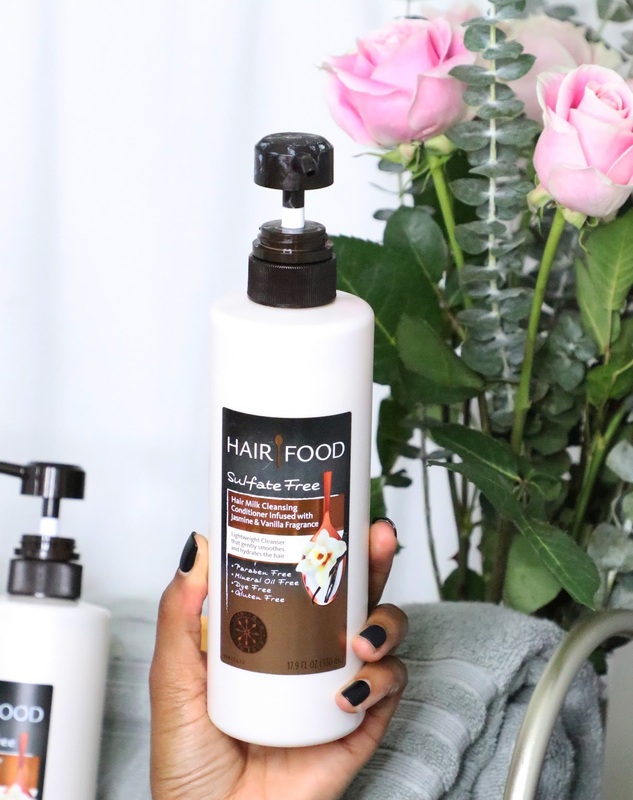 If you haven't tried Hair Food Sulfate Free Hair Milk Collection before, I recommended you do. The formula is sulfate, paraben, gluten, mineral, and dye FREE. All that is saying is...good for your hair. You can pick it up or order Hair Food at Target. Hair is one of those things that people sometimes over look, but it is just as important as skin care! 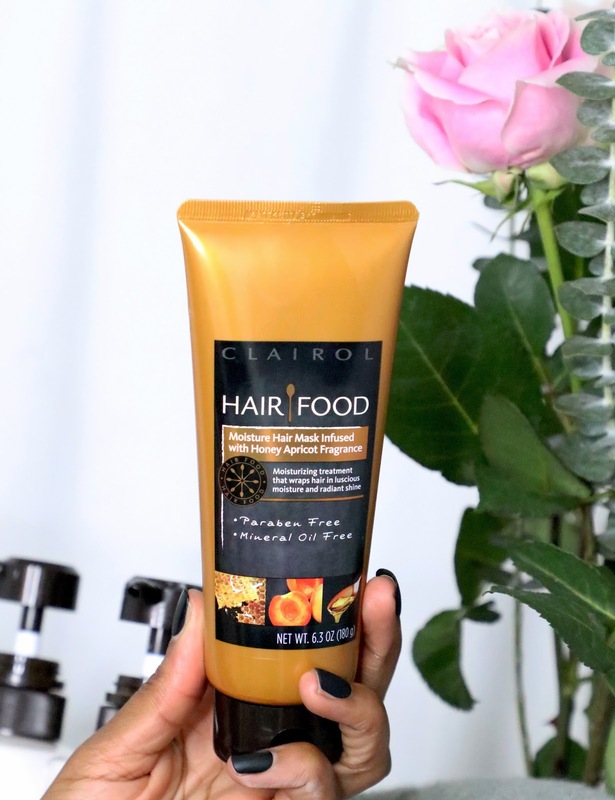 Hair Food just sounds like something that is really good for your hair! Never heard of that brand before but I am so open to trying new products! I will look into it! I’m always hesitant to switch up hair products but always open to trying something new. I’ll check out this brand next time I’m in Target! Your hair is truly gorgeous! I've never heard of this brand but I will definitely check it out. I'm so intrigued by the ingredients and your results! I use argan oil daily and have been looking for paraben and sulphate-free haircare products! Just a little tough now because I'm using blue shampoo for my recently bleached hair but I'm definitely going to take a look at this when I'm with coloring my hair sometime soon! 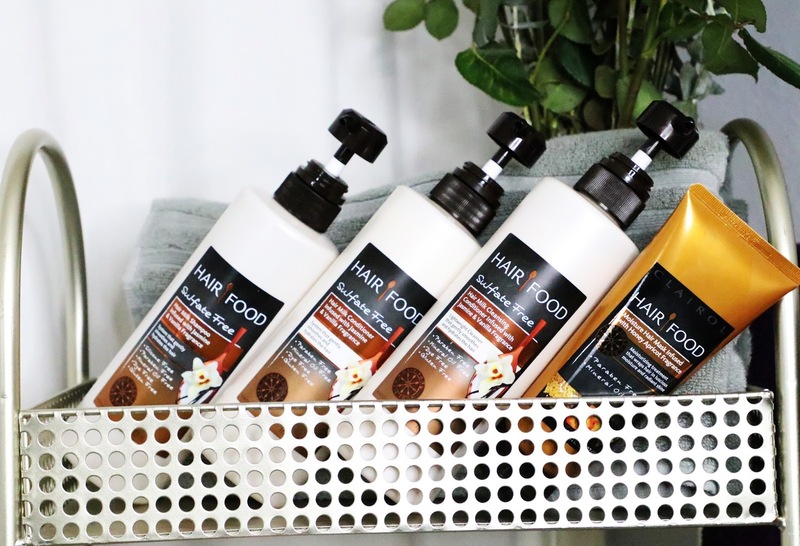 wow you hair look amazing, so i need to give these products a try.